Not now. Later. Tomorrow. That’s when many teenagers say they plan to complete their household chores or tackle their homework. To a certain extent, this is normal—many of us have a tendency to delay, to put off until tomorrow what we don’t want to do today. There is a difference, however, between the occasional delayer and someone who has an established, disabling pattern of procrastination fueled by an underlying issue. 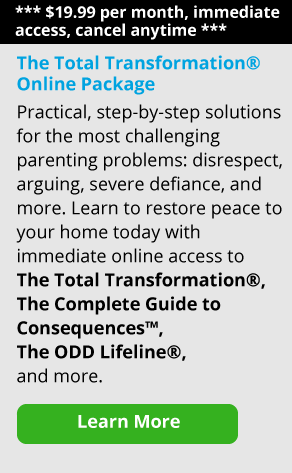 For parents, dealing with either can be a frustrating challenge. Discerning between the two can be even more difficult. Failing to complete an assigned task in a predetermined timeframe. Understanding how your child is currently interpreting the situation will help you develop appropriate parental responses. This may be realistic for kids who are consistently high-achievers, but for children who struggle with just turning in their homework, such expectations may be too much. In this case, lean toward setting specific, achievable expectations such as structured time to do homework, study, or do chores. Also remember to be clear and direct when stating your expectations. Doing so will help ensure that you and your child are on the same page—if your child still procrastinates after you have this conversation, restate your expectations and reinforce that they are accountable for their own actions and the corresponding consequences. Is that scenario reasonable or likely? No. But kids who fear failure often spiral into a series of unrealistic, irrational, worst-case consequences. It’s called catastrophic thinking. In addition to contributing to anxiety and procrastination, this kind of thinking can lead to outbursts of bad behavior. A child may act out because they don’t know how to solve the problem appropriately. You can help coach your child by teaching effective problem-solving techniques. Try breaking tasks up into more manageable chunks or setting smaller, more attainable goals. By helping your child understand how to develop a plan for tackling a problem, they may feel less overwhelmed by the amount of work involved with the task. Because anxiety can be paralyzing, you may have to help your child get started. Consider giving her a defined start time. For instance, “After dinner at 6:00, let’s get started.” You can also try setting some rules around the process, like working for a certain amount of time without interruption, or completing a specific body of work before taking a break. This type of structure can help children (and adults!) manage anxiety and generate a sense of momentum and confidence. Ultimately, your goal is to help your child learn to set reasonable expectations. Anxiety and fear are better managed by attempting to succeed at the task at hand rather than avoiding it. Said another way, fear doesn’t simply dissipate with the passage of time—it is only reduced through continuous effort, which leads to success. With parental support, a plan to tackle problems and a willingness to try, your child will be armed with tools to manage tasks effectively.